How will the person do the job? Will the person want to do the job? The PROFILES XT® measures Learning Index, which indicates a person's learning, reasoning, and problem solving approach. By understanding the person's learning index, you can better understand whether or not they are able to do the job. 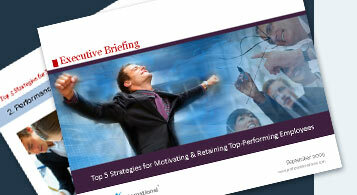 If they are not able to do the job, they are less likely to be engaged and motivated. The PROFILES XT® measures behavioural traits: energy level, assertiveness, sociability, manageability, attitude, decisiveness, accommodating, independence, and objective judgment. If you can understand how a person will do the job, you can determine whether or not the job description will complement the person's personality. The PROFILES XT® also measures occupational interests. The six occupational categories are enterprising, financial/admin, people service, technical, mechanical, and creative. A person may be capable of doing a job and may do it well, but that does not mean they want to do the job. If a person does not enjoy doing a particular job, he will immediately become disengaged and unmotivated. Profiles International has a complete catalog of state-of-the-art occupational assessments that target all phases of employment, from selection and hiring to training, self-coaching, and management performance. The most expensive problems companies deal with today can be solved (or at least diminished) with a better understanding of the people they employ. Matching people successfully with the work they do is the key. We can provide a complete system, customized to address your most pressing concerns. The PROFILES PERFORMANCE INDICATOR™ will reveal your people's behavioral tendencies. Once you understand tendencies, you can determine how you will motivate and engage the employee. Research has shown that behavioral characteristics can be grouped together in four major divisions or styles. People with similar styles tend to exhibit behaviourial characteristics common to that style. All people share these four styles in varying degrees of intensity.